Codeine (INN) C18H21NO3 or methylmorphine is an opiate used for its analgesic, antitussive and antidiarrheal properties. It is by far the most widely used opiate in the world and very likely most commonly used drug overall according to numerous reports over the years by organisations such as the World Health Organisation and its League of Nations predecessor agency and others. It is one of the most effective orally-administered opioid analgesics and has a wide safety margin. It is from 8 to 12 percent of the strength of morphine in most people; differences in metabolism can change this figure as can other medications - this is explored in greater detail below. 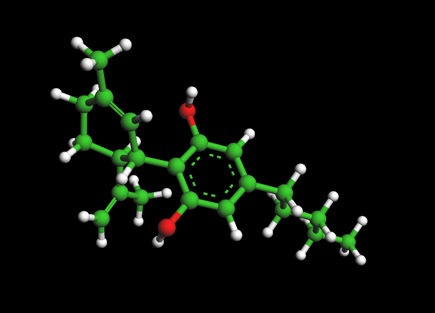 Codeine is an alkaloid found in opium, first isolated in 1830 in France by Jean-Pierre Robiquet, in concentrations ranging from 0.3 to 3.0 percent. While codeine can be extracted from opium, most codeine is synthesized from morphine through the process of O-methylation. Codeine is marketed as the salts codeine sulphate and codeine phosphate in the United States and Canada. Codeine hydrochloride is more commonly marketed in continental Europe and other regions, and codeine hydroiodide and codeine bitartrate round out the top five most-used codeine salts worldwide. Codeine is usually present in raw opium as free alkaloid in addition to codeine meconate, codeine pectinate, and possibly other naturally-occuring codeine salts. Dozens of other salts of codeine have been developed over the last 175 years including some with special properties of other drug groups such as codeine salicylate and codeine-based salts of barbituric acid (barbiturates). Codeine citrate, nitrate, picrate, acetate, hydrobromide and others are occasionally encountered on the pharmaceutical market and in research. Codeine is the starting material and prototype of a large class of mainly mild to moderately strong opioids such as hydrocodone, dihydrocodeine and its derivatives such as nicocodeine, oxycodone etc. Related to codeine in other ways are Codeine-N-Oxide (GenocodeineÂ®), related to the nitrogen morphine derivatives as is codeine methobromide, and heterocodeine which is a drug six times stronger than morphine and 72 times stronger than codeine due to a small re-arrangement of the molecule, viz. moving the methyl group from the 3 to the 6 position on the morphine carbon skeleton. Drugs bearing resemblance to codeine in effects due to close structural relationship are variations on the methyl groups at the 3 position including ethylmorphine a.k.a. codethyline (DionineÂ®) and benzylmorphine (PeronineÂ®). While having no narcotic effects of its own, the important opioid precursor thebaine differs from codeine only slightly in structure. Pseudocodeine and some other similar alkaloids not currently used in medicine are found in trace amounts in opium as well. Codeine is sometimes marketed in combination preparations with the analgesic, acetaminophen(paracetamol), as co-codamol, paracod, panadiene, or Tylenol 3, with the analgesic, acetylsalicylic acid (aspirin), as co-codaprin or with the NSAID (non-steroidal anti-inflammatory drug), ibuprofen, as Herron Blue or Nurofen Plus. These combinations provide greater pain relief than either agent alone (drug synergy; see synergy). Codeine is also commonly compounded with other pain killers or muscle relaxers such as Fioricet with Codeine, Soma Compound/Codeine, etc. Codeine-only products can be obtained with a prescription as a time release tablet (eg. Codeine Contin(r) 100mg) and Perduretas (50 mg). The narcotic content number in the US names of codeine tablets and combination products like Tylenol With Codeine No. 3, Emprin With Codeine No. 4 are as follows: No. 1 - 7Â½ or 8 mg (1/8 grain), No. 2 - 15 or 16 mg (1/4 grain), No. 3 - 30 or 32 mg (1/2 grain), No. 4 - 60 or 64 mg (1 grain). The Canadian 222 series is identical to the above list 222=1/8 grain, 292=1/4 grain, 293=1/2 grain, and 294=1 grain of codeine. Injectable codeine is available for subcutaneous or intramuscular injecton; intravenous injection can cause a serious reaction which can progress to anaphylaxis. Codeine suppositories are also marketed in some countries. In Australia, New Zealand, Romania, Canada and many other countries, codeine is regulated. In some countries it is available without prescription in combination preparations from licensed pharmacists in doses up to 8 mg/tablet in Canada and Australia, 20 mg/tablet in New Zealand, and 10mg/tablet in Israel. In Canada, codeine can be sold over the counter only in combination with two or more ingredients, which has resulted in the prevalence of AC&C (aspirin, codeine, and caffeine), and similar combinations using acetaminophen (paracetamol) rather than aspirin. 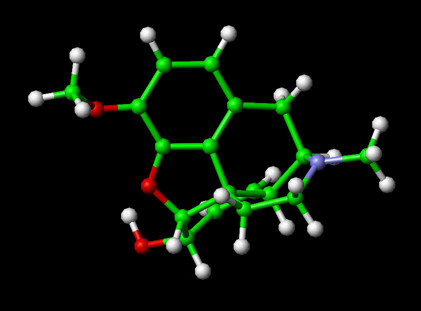 Caffeine, being a stimulant, tends to offset the sedative effects of codeine. It also can increase the effectiveness and absorption rate of analgesics in some circumstances.Codeine is listed under the BetÃ¤ubungsmittelgesetz in Germany and the similarly-named narcotics & controlled substances law in Switzerland. In Austria, the drug is listed under the Suchtmittelgesetz in categories corresponding to their classification under the Single Convention on Narcotic Drugs. Dispensing of products containing codeine and similar drugs (dihydrocodeine, nicocodeine, benzylmorphine, ethylmorphine &c.) generally require a prescription order from a doctor or the discretion of the pharmacist. Municipal and provincial regulations may impact the range of products which can be dispensed in the latter case.In Hong Kong, codeine is regulated under Schedule 1 of Hong Kong's Chapter 134 Dangerous Drugs Ordinance. It can be used legally only by health professionals and for university research purposes. The substance can be given by pharmacists under a prescription. Anyone who supplies the substance without prescription can be fined $10,000(HKD). The penalty for trafficking or manufacturing the substance is a $5,000,000 (HKD) fine and life imprisonment. Possession of the substance for consumption without license from the Department of Health is illegal with a $1,000,000 (HKD) fine and/or 7 years of jail time.However, codeine is available without prescription from licensed pharmacists in doses up to 0.1% (5mg/5ml) according to Hong Kong "Dangerous Drugs Ordinance".In the United Kingdom, codeine is regulated by the Misuse of Drugs Act 1971; it is a Class B drug, except for concentrations of less than 12.8 mg when combined with paracetamol or ibuprofen, which are available in many over the counter preparations.In the United States, codeine is regulated by the Controlled Substances Act. It is a Schedule II controlled substance for pain-relief products containing codeine alone or more than 90 mg per dosage unit. In combination with aspirin or acetaminophen (paracetamol/Tylenol) it is listed as Schedule III or V, depending on formula. Preparations for cough or diarrhea containing small amounts of codeine in combination with two or more other active ingredients are Schedule V in the US, and may be dispensed in amounts up to 4 fl. oz. per 48 hours without a prescription. Schedule V specifically consigns the product to state and local regulation beyond certain required record-keeping requirements (a dispensary log must be maintained for two years in a ledger from which pages cannot easily be removed and/or are pre-numbered and the pharmacist must ask for a picture ID such as a driving licence) and also which maintain controlled substances in the closed system at the root of the rÃ©gime intended by the Controlled Substances Act of 1970 -- e.g. the codeine in these products was a Schedule II substance when the company making the Schedule V product acquired it for mixing up the end product. In locales where dilute codeine preparations are non-prescription, anywhere from very few to perhaps a moderate percentage of pharmacists will sell these preparations without a prescription. However, many states have their own laws that do require a prescription for Schedule V drugs. Codeine is also available outside the United States as an over-the-counter drug in liquid cough-relief formulations. Internationally, codeine is a Schedule II drug under the Single Convention on Narcotic Drugs. Codeine is considered a prodrug, since it is metabolised in vivo to the primary active compounds morphine and codeine-6-glucuronide. Roughly 5-10% of codeine will be converted to morphine, with the remainder either free, conjugated to form codeine-6-glucuronide (~70%), or converted to norcodeine (~10%) and hydromorphone (~1%). It is less potent than morphine and has a correspondingly lower dependence-liability than morphine. Like all opiates, codeine is addictive unless used infrequently. However, the withdrawal symptoms are relatively mild and as a consequence codeine is considerably less addictive than the other opiates.Theoretically, a dose of approximately 200 mg (oral) of codeine must be administered to give analgesia equivalent to 30 mg (oral) of morphine (Rossi, 2004). However, codeine is generally not used in single doses of greater than 60 mg (and no more than 240 mg in 24 hours). When analgesia beyond this is required, stronger opioids such as hydrocodone or oxycodone are favored. Because codeine needs to be metabolized to an active form, there is a ceiling effect around 400-450 mg. This low ceiling further contributes to codeine being less addictive than the other opiates.The conversion of codeine to morphine occurs in the liver and is catalysed by the cytochrome P450 enzyme CYP2D6. CYP3A4 produces norcodeine and UGT2B7 conjugates codeine, norcodeine and morphine to the corresponding 3- and 6- glucuronides. Approximately 6â€“10% of the Caucasian population, 2% of Asians, and 1% of Arabs have poorly functional CYP2D6 and codeine should be less effective for analgesia in these patients (Rossi, 2004), although it is speculated that codeine-6-glucuronide is responsible for a large percentage of the analgesia of codeine and thus these patients should experience some analgesia. Many of the adverse effects will still be experienced in those deficient in 2D6. Conversely, 0.5-2% of the population has multiple copies of the 2D6 gene and will metabolise 2D6 dependent drugs more efficiently than others.Some medications are CYP2D6 inhibitors and reduce or even completely eliminate the efficacy of codeine. The most well-known of these are the selective serotonin reuptake inhibitors, such as fluoxetine (Prozac) and citalopram (Celexa). Other drugs, such as rifampicin and dexamethasone, induce expression of CYP450 isozymes and thus increase the rate of metabolism.It is important to note that whereas usually a CYP2D6 extensive metaboliser (EM) will need a higher dose of 2D6-metabolized drug for a sufficient therapeutic effect and a poor metaboliser (PM) may suffer from drug toxicity due to excessive plasma concentration, with the pro-drug Codeine, the opposite is true. Thus, an EM may have an adverse toxicity effect and a PM may have little or no pain relief. Codeine is a prodrug, itself inactive, but demethylated to the active morphine by the liver enzyme CYP2D6. Because of the wide variability in CYP2D6 activity among humans, the effect of codeine can vary between individuals. In persons with little or no CYP2D6 function, codeine has little or no effect. Common adverse drug reactions associated with the use of codeine include euphoria, itching, nausea, vomiting, drowsiness, dry mouth, miosis, orthostatic hypotension, urinary retention and constipation. Tolerance to many of the effects of codeine develops with prolonged use, including therapeutic effects. The rate at which this occurs develops at different rates for different effects, with tolerance to the constipation-inducing effects developing particularly slowly for instance. A potentially serious adverse drug reaction, as with other opioids, is respiratory depression. This depression is dose-related and is the mechanism for the potentially fatal consequences of overdose. Another side effect commonly noticed is the lack of sexual drive and increased complications in erectile dysfunction. Codeine has also been known to interact negatively with some psychiatric medications such as reboxetine and venlafaxine.Some people may also have an allergic reaction to codeine, which may cause severe allergic reactions such as the swelling of skin and rashes. Schroeder K, Fahey T (2001). "Over-the-counter medications for acute cough in children and adults in ambulatory settings.". Cochrane Database Syst Rev: CD001831. doi:10.1002/14651858.CD001831. PMID 15495019. Headache Triggers: Caffeine. WebMD (June 2004). Retrieved on 2007-03-23. Common Drugs in Hong Kong. Hong Kong Police Force. Retrieved on 2007-08-13.
International Narcotics Control Board. List of Narcotic Drugs under International Control (PDF). Retrieved on 2006-05-24. Vree TB, van Dongen RT, Koopman-Kimenai PM (2000). "Codeine analgesia is due to codeine-6-glucuronide, not morphine". Int. J. Clin. Pract. 54 (6): 395-8. PMID 11092114. Codeine Information - Facts - Codeine. Retrieved on 2007-07-16. Srinivasan V, Wielbo D, Tebbett IR (1997). "Analgesic effects of codeine-6-glucuronide after intravenous administration". European journal of pain (London, England) 1 (3): 185-90. PMID 15102399. Australian Medicines Handbook (2004). in Rossi S: Australian Medicines Handbook. Adelaide: Australian Medicines Handbook. ISBN 0-9578521-4-2.